I was excited to receive two very generous testimonial quotes for my site this week. Read about Mary's great experience with the website, and her custom order for knitwear with recycled beads - the Tokyo Purple Neck Cowl. 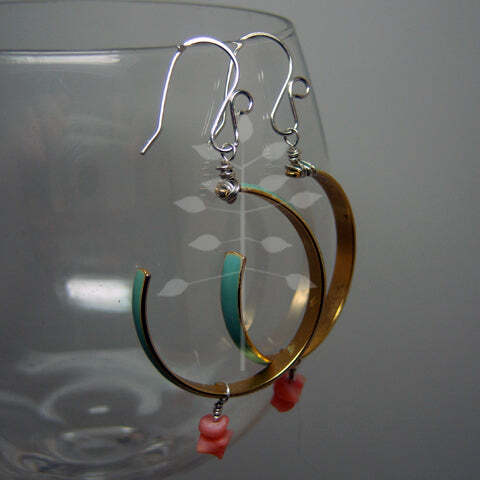 Allison is another customer who found shopping on the ecocessories site a very positive experience! 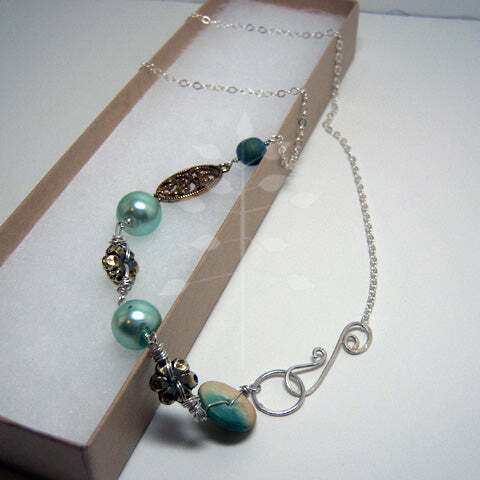 Read about how easy ordering jewelry was and how quickly it arrived on the testimonials page. 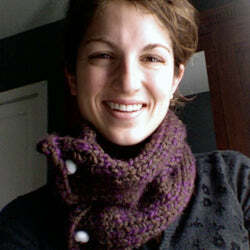 The picture is of Mary, looking radiant in her neck cowl! 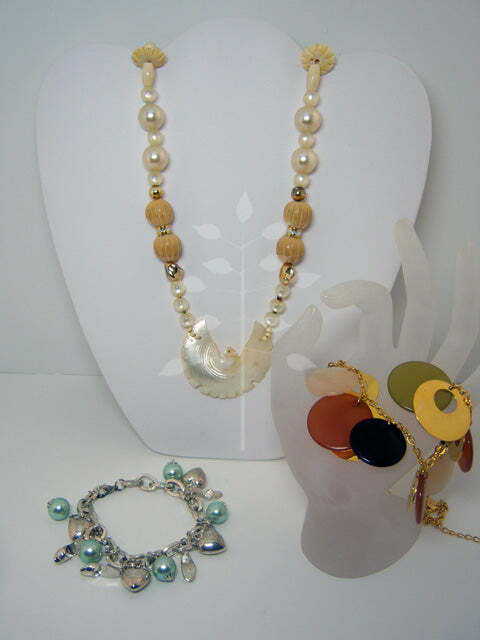 She sent it to me because I am collecting photos for the ecocessories Facebook page album, Style Watch. 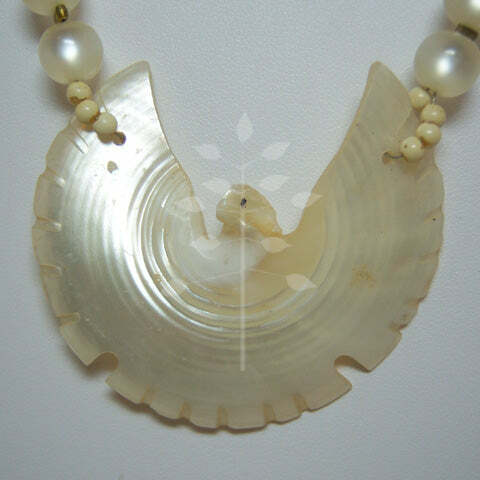 Do you have a shot of yourself wearing ecocessories jewelry or originals? 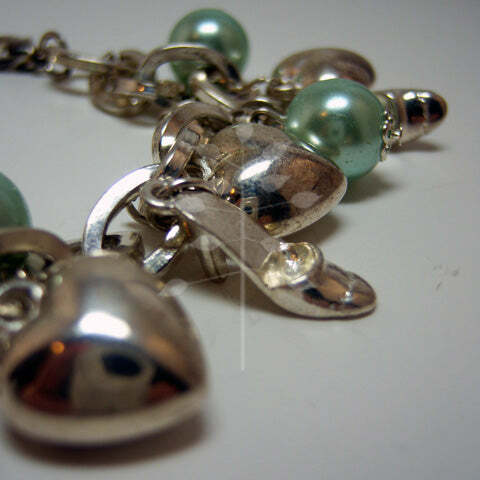 This week I'm taking a break from "Rad Recycled Jewelry" due to a defunct camera cable. Stay tuned next Wednesday for the next post in the series! Tonight I want to show you a wicked video brought to us from Threadbanger. Rob and Corinne are at the Craft & Hobby Association World Fair and the theme is all about being eco and green! Take a few minutes to watch this exciting inspiring video about all the other artists out there making a living from a recycled craft. I thought it would be fun to start an album of anyone seen showing off their ecocessories style! 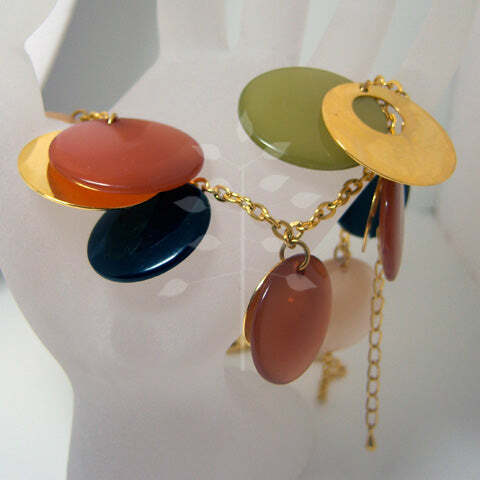 If you are seen wearing ecocessories' handmade jewelry and accessories, I'll ask your permission to post your photo to my Facebook Album on the ecocessories page and my blog. I was browsing my friends photos on Facebook and I saw Terri and Kristen here both wearing recent purchases from ecocessories! Kristen is glowing in the Midnight Sky Necklace and Terri is looking tropical in the Hawaiian Nights Necklace. 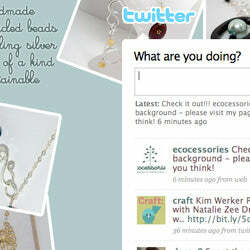 If you have a photo, post it to my ecocessories page as a Fan Photo! I want to encourage people to interact using the Facebook page, and please comment on the blog if you've stopped by! I hope you are having a great day! In a relationship or not, I hope you are surrounded by love today and everyday. To share the love I'm going to post a simple tip for a safe way to remove tarnish (no matter how much!) 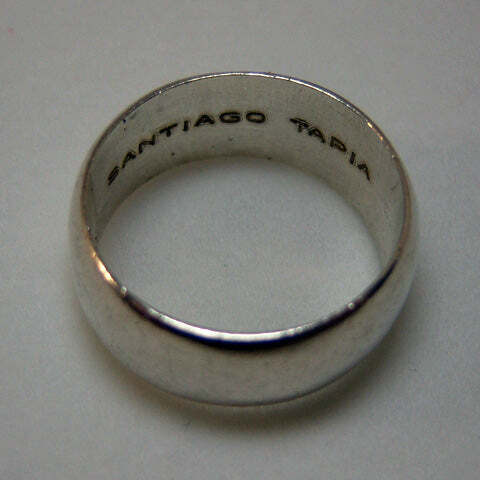 from your sterling silver. 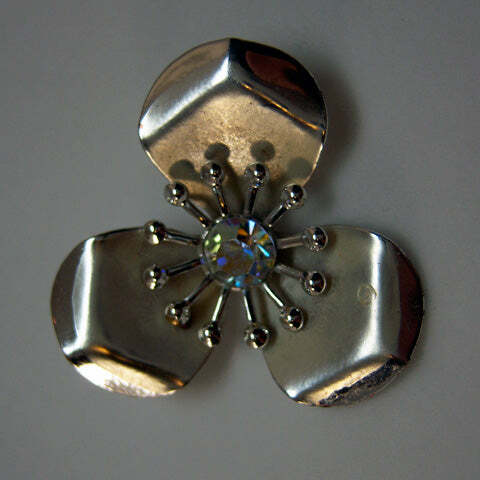 This technique can be used for anything silver - jewelry, silverware, cups or saucers even? 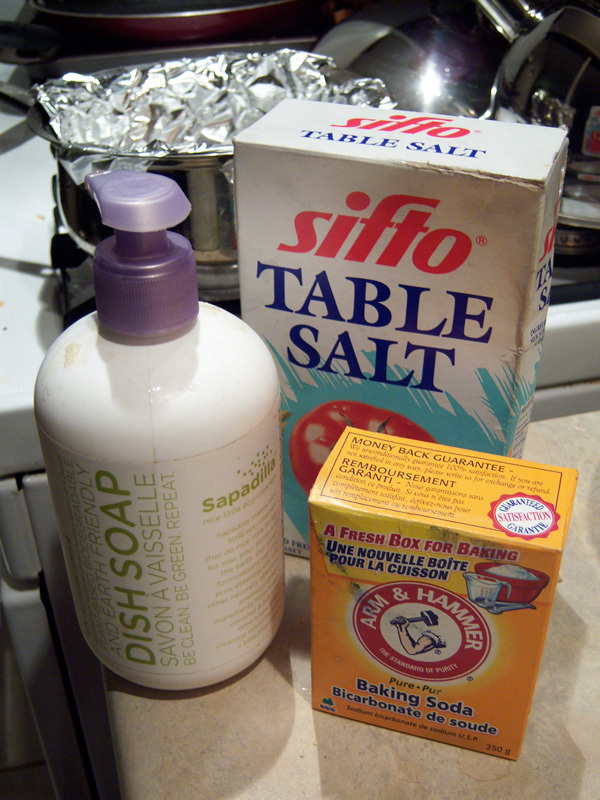 First you need the ingredients - salt, dish soap, baking soda, tinfoil, a pot. 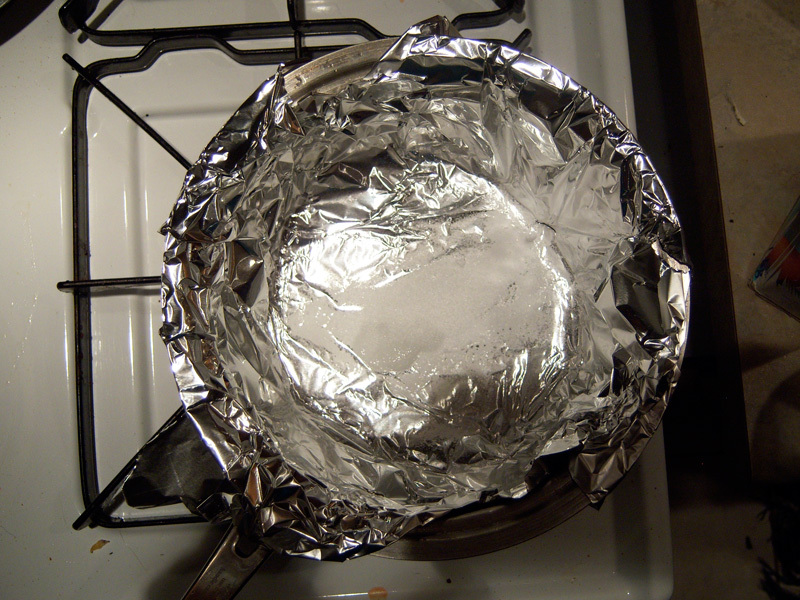 Take your pot and line it with the tinfoil. In the bottom, squirt a bit of dish soap and a scoop each of baking soda and salt. Fill the pot 3/4 of the way with water. Stir and bring the solution to a boil. I had to scoop out the bubbles that accumulated on top into the sink at this point. 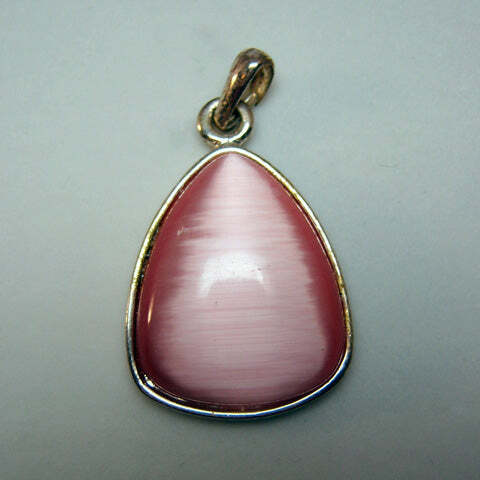 Throw in your sterling silver and let simmer for about 10 minutes. 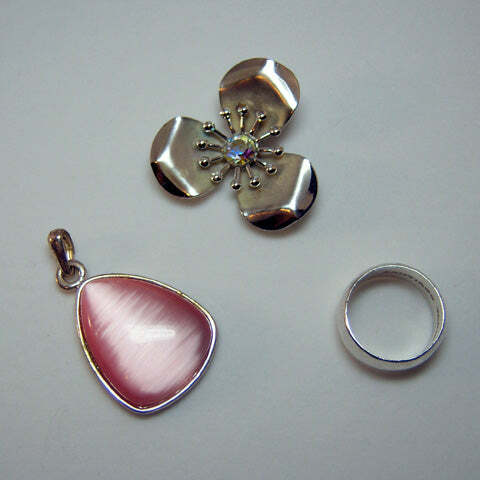 You will quickly see the tarnish fly off the silver and be attracted instead to the tinfoil. It almost feels like magic! 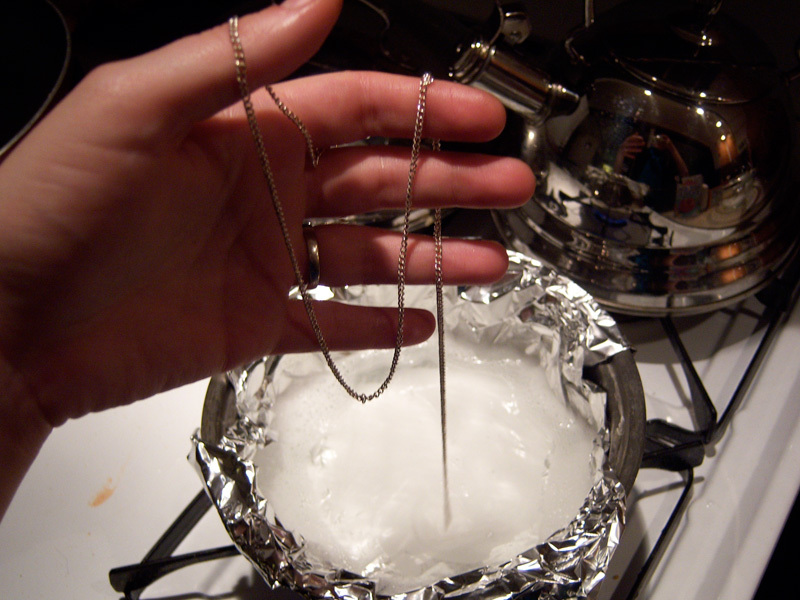 Drain the mixture and rinse your silver. It will be sparkling like new at this point! I recently used this technique when I designed this sterling silver "Key To My Heart" pendant as a custom design for a client to give as a Valentine's Day gift. Check out my Flickr album here, and please feel free to leave comments! I love to hear anything and everything you have to say.